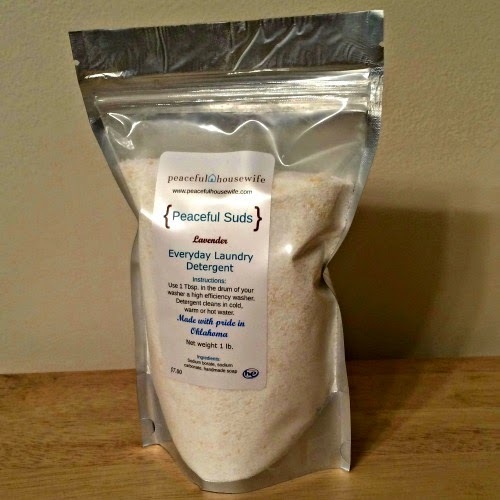 FTC disclaimer: I won a giveaway for some Peaceful Housewife laundry detergent. I loved it and asked if she wanted me to hold a giveaway. No other compensation was received for this post. Recently I won a giveaway sponsored by Peaceful Housewife. I know I love trying new products, and I wasn't exactly sure what or who Peaceful Housewife was -- but I entered and I won. I decided to order some laundry detergent. I am allergic to many laundry detergents. I itched constantly when I was in college until I figured out my mother always used powdered detergent and I had been buying liquid. Then I had to go with the lightest scents I could find. I'm getting married in May, and the detergent that doesn't bother me is not good for my boyfriend. I could just picture me someday having to do laundry and having to keep track of socks and keeping laundry not just separated by color but by person. I was so thankful when I realized that the Peaceful Housewife laundry detergent was the answer to my problem! Not only that, but I actually can have scented detergent now. (I started out with French Vanilla. Next time I order, I might try peppermint!) There are a variety of scents. 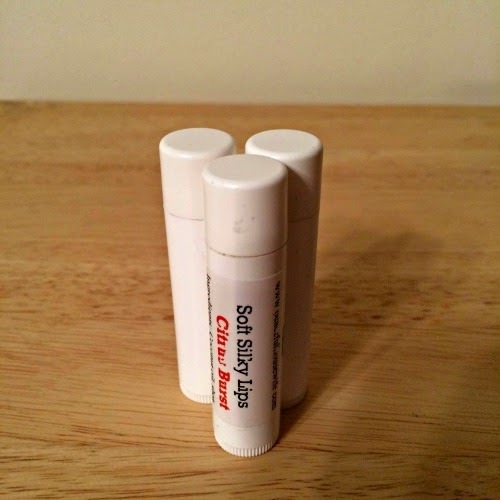 Plus, it's easy to use -- just a tablespoon in the washer, and you're good to go on most loads. I did put my detergent in a pretty jar as the bag it was shipped in was a little hard to navigate as I'm clumsy, but the end result was turning my laundry detergent into a beautiful decoration in my laundry room! 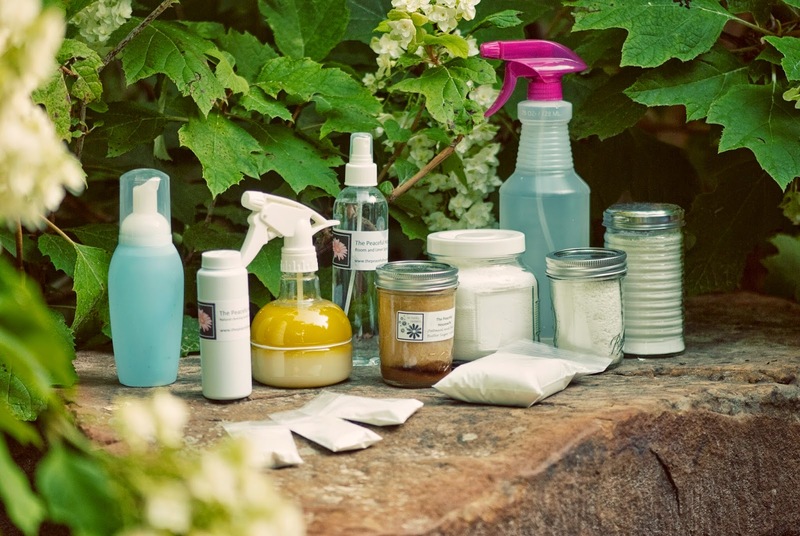 The cleaning supplies sold by The Peaceful Housewife Store are all natural and eco-friendly. I like they are also hypo allergenic. 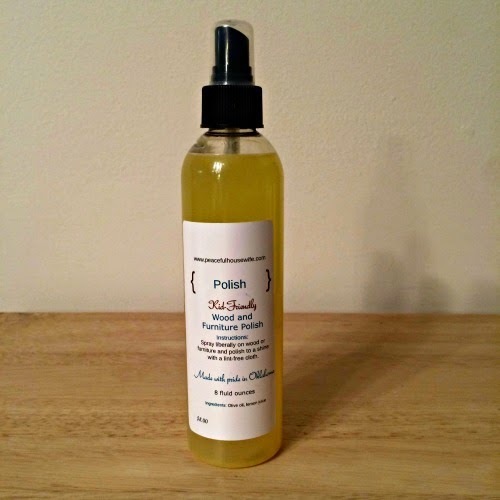 She also sells other products such as furniture polish, lotion bars, soaps, scrubs, and more. 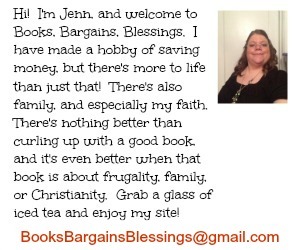 Jenny from Peaceful Housewife has graciously offered one of my readers a $15 gift certificate. You will be responsible for shipping charges. The winner has 48 hours to respond to the winning email or another winner will be chosen. The vanilla honey chai tea scrub. Very cool! I too have to be careful about which laundry soap I use. I have very sensitive skin. I like the 2 oz lotion bar, I would choose Lemongrass scent. Would love to try the laundry detergent in Clean Cotton. I'd probably choose the Vanilla Honey Chai Tea scrub! I'd love to try the Vanilla Honey Chai Tea Scrub. I would try the laundry detergent in Citrus Burst. Thank You for the giveaway… we would try the 2 lb. 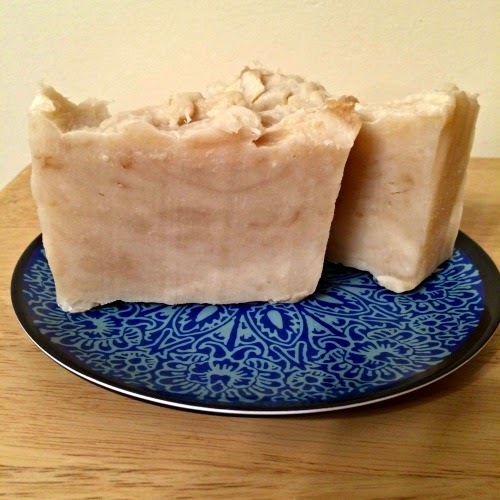 Laundry Detergent - Every Day Detergent -Lemon Eucalyptus ! I would love to try the Lavender Room Spray!